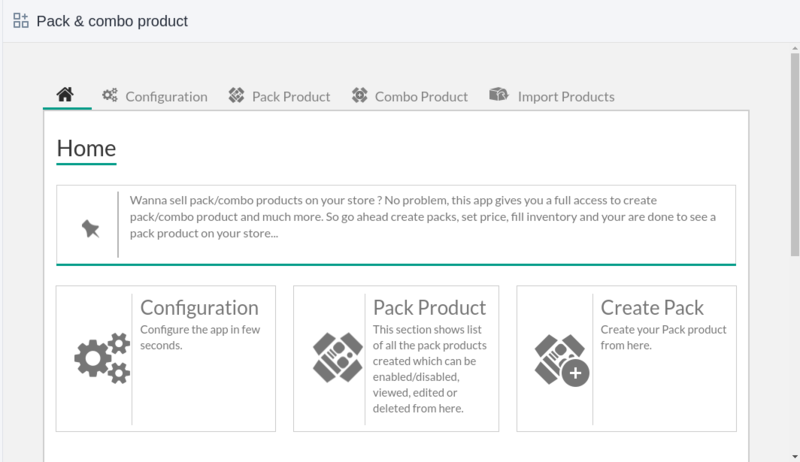 Pack & Combo Product app for Shopify lets store owner bring in various products together to create pack as well as combo product for sale on eCommerce stores with many more amazing features. The Package can be created by adding two or more than two types of products in the pack just with few clicks and update a new price of the package for the customers who purchase it. While creating a Combo, You can add various products in it and customers will purchase the combo product by selecting proper variant, size, shipment separately for each product available in that Combo. 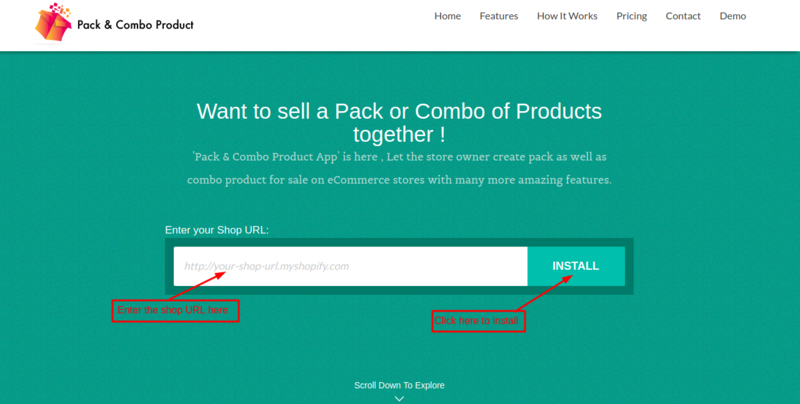 Introducing this app to your online store that will encourage customers to buy the pack & Combo products as they are cost effective and at the same time help in increasing your revenue. The store owner can create multiple Pack & Combo products. 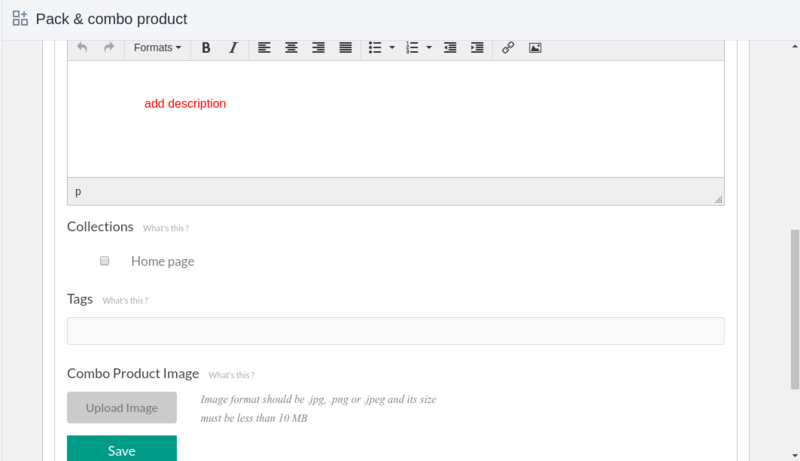 Edit, View and delete the pack & combo products and its constituents. View All The Pack & Combo Details. 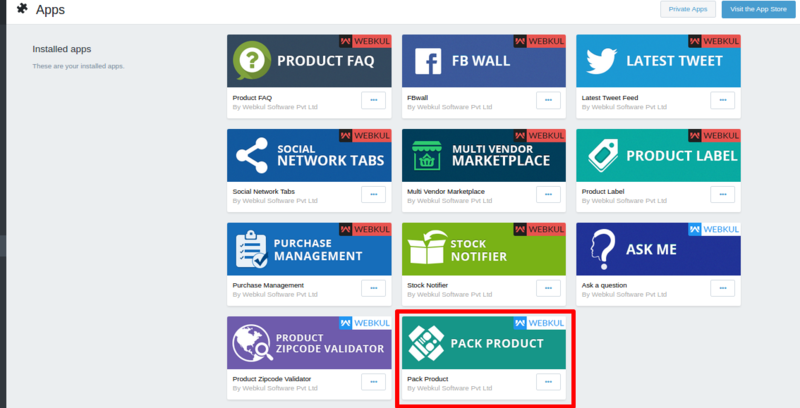 Assign differentiated products in one pack. Automatically manages the stock and its quantity. 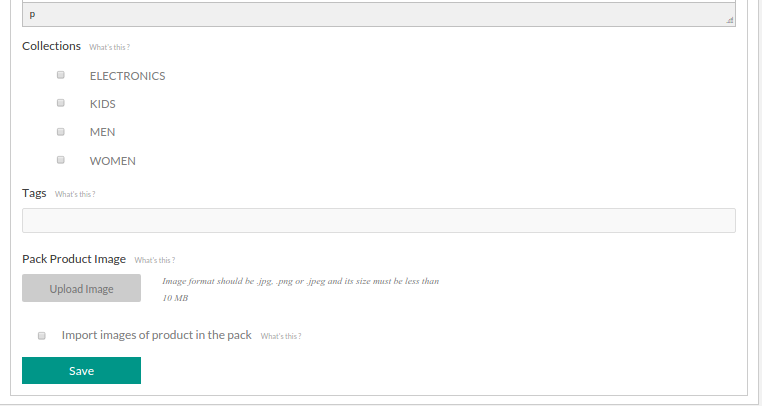 The option of enabling/disabling pack products. Admin can import products from Shopify Store into the app by selecting a date span. A Confirmation Mail Sent To Buyer. Clicking on which you will be redirected to the app straight-away. 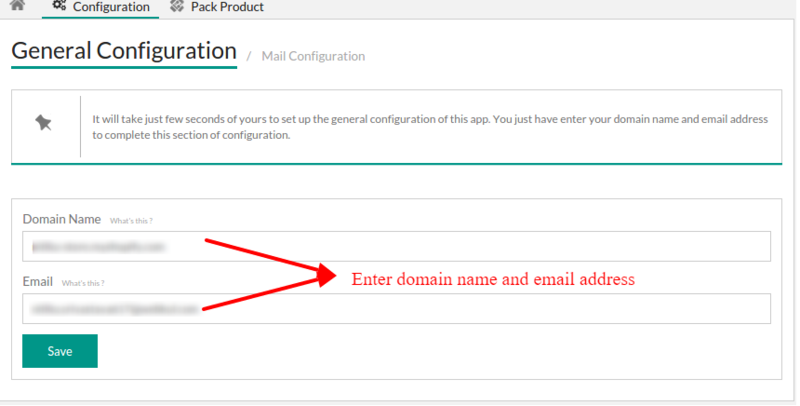 General Configuration: here you have to mention the URL of your store for which you want to install the app along with Email id and click on the save button to save the general configuration. 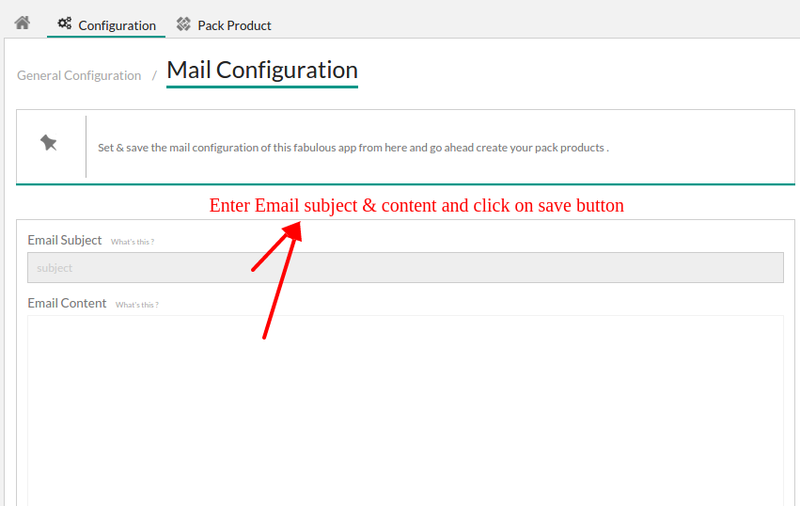 Mail Configuration: enter the email Subject and email content & save the mail configuration of this fabulous app from here and go ahead create your pack & combo products. 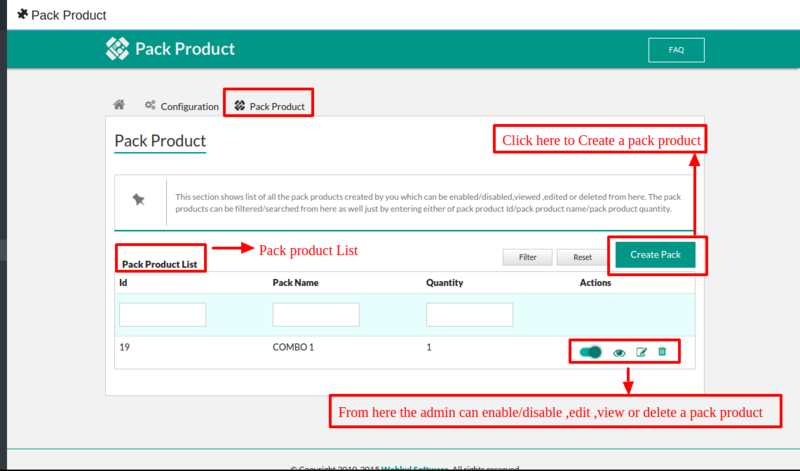 To create a pack product, you can initiate the process by clicking on ‘Create pack’ on the home page of the app or by visiting the pack product section and clicking on the Create Pack button. 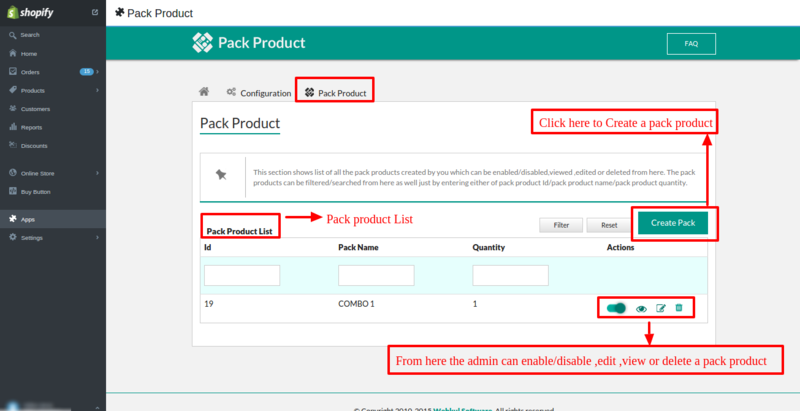 The pack product section shows a list of all the pack products created by you which can be enabled/disabled, viewed, edited or deleted from here. The pack products can be filtered/searched from here as well just by entering either of pack product Id/pack product name/pack product quantity. 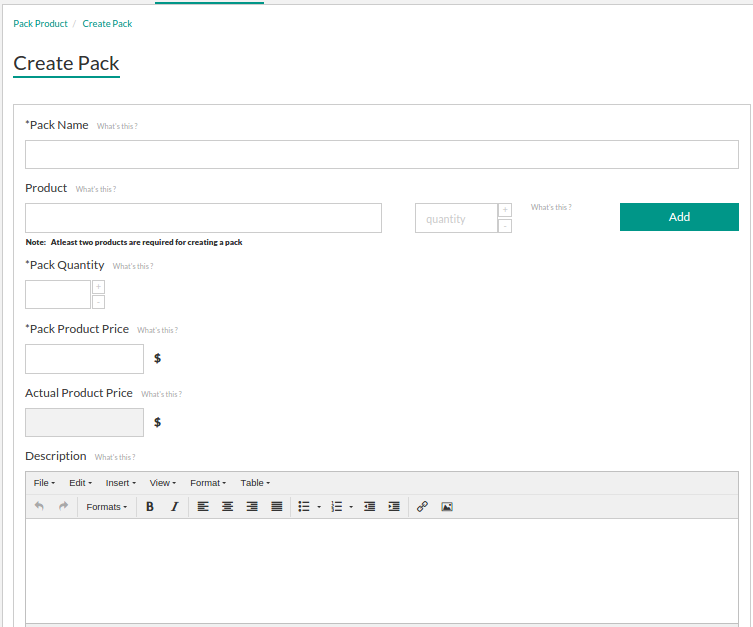 Once you will click on the create pack button, you will be redirected to the pack product creation page where you will require to fill in the details and add products to the pack along with the price offered and actual price. The pack product once created can be edited as well. 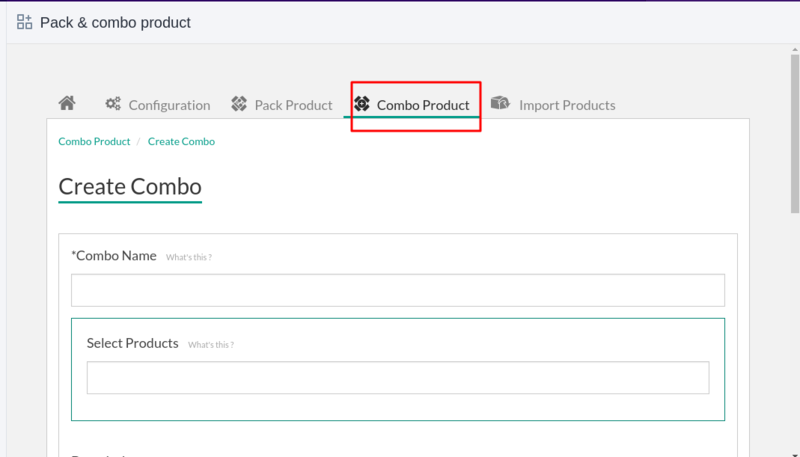 To create a combo product, the admin needs to visit the “Combo Product” section of the app and there you need to click on the create combo button to create a combo of multiple products. 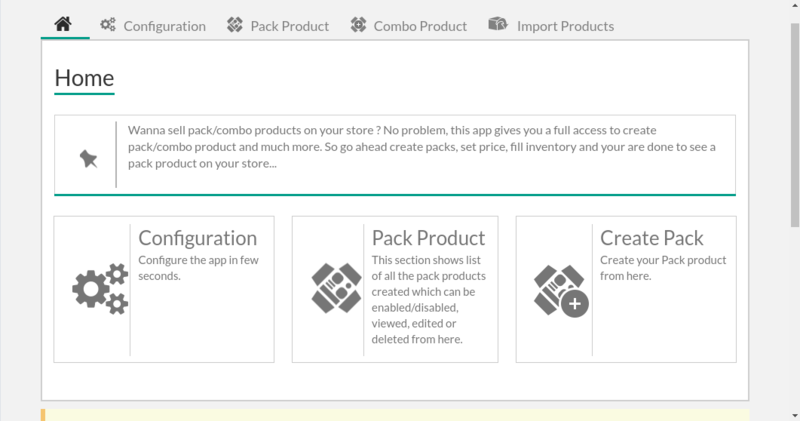 All the product combo that you create will be listed here in this section of the app. You can anytime enable/disable, edit or delete the combo if required. The Combo products can be filtered or searched by ID, Combo Name or Combo Count. 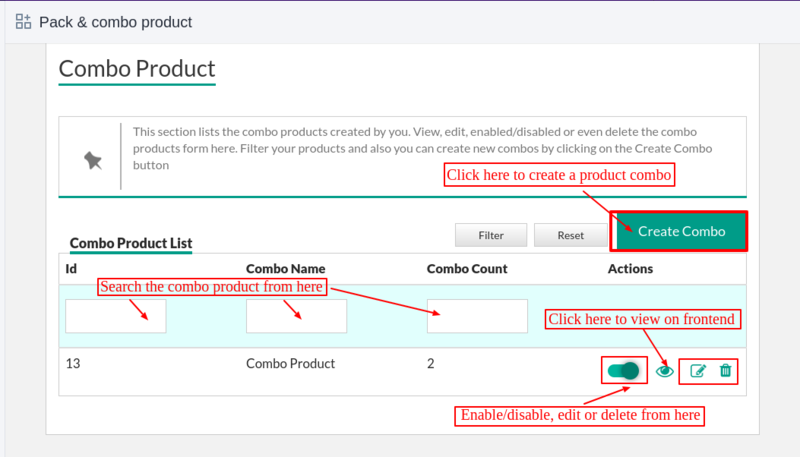 Clicking on the “Create Combo” button, You will be redirected to Combo product creation page and there you need to enter the Combo Name, Select Products, Description, Collection, Tag and image of your combo product. Once done, click on the Save button to create the combo. You have to Copy the below-given code and paste it to product.liquid &amp product-loop.liquid file respectively.